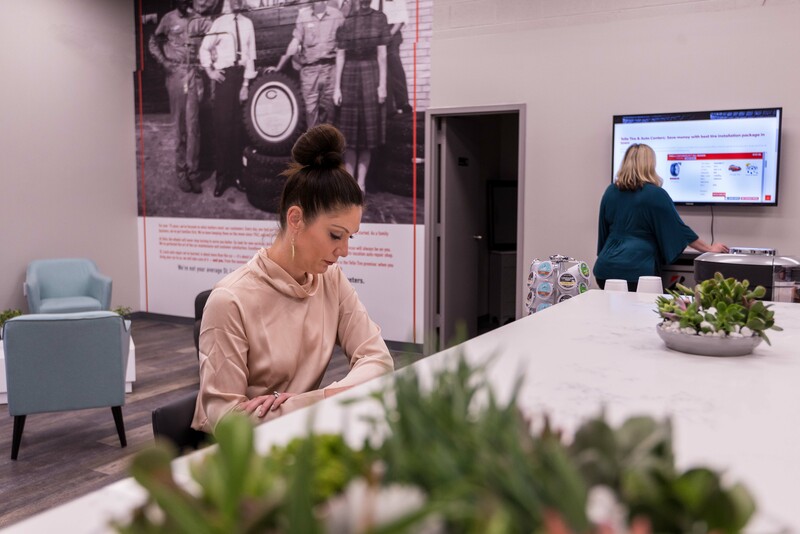 One of Telle Tire’s new locations features a renovated waiting room with various amenities. Telle Tire & Auto Centers has acquired Midtown Tire and Auto in St. Louis and will acquire Kwik Kar & Lube in Jefferson City, Missouri, its first location outside of the St. Louis area. 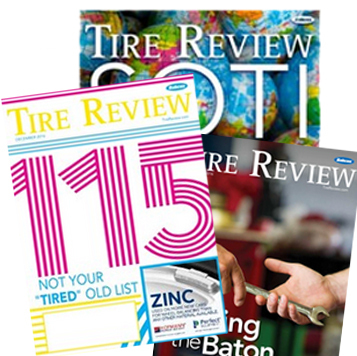 The acquisition gives Telle Tire nine retail locations and its third acquisition in 2018, the company says. Telle Tire acquired Midtown Tire in June and the store has undergone a $75,000 renovation. “We are 100% focused on understanding the consumers’ needs in a very difficult retail experience, and we want to separate ourselves from the competition on meeting those needs in every aspect of our business,” Telle said. The renovated Telle Tire waiting room features work stations where customers can connect to Wi-Fi. The company completely renovated the two acquired stores in the waiting room area, creating the look of a furniture gallery that has amenities including soft drinks, fresh chocolate chip cookies delivered daily, fresh fruit and workstations with plugins for all electronic devices that can connect to Wi-Fi. it also offers loaner vehicles and valet car service. A large computer screen was also installed in the waiting room for service advisors to be able to review a customer’s vehicle inspections with them and any pictures of issues that may arise. “This really helps create another level of transparency and puts confidence in both the advisor and the customer when reviewing the inspections,” Telle said. Telle Tire will be holding a re-grand opening of the former Midtown Tire & Auto location on Oct. 25 with prizes, local food and special promotions. The acquisition of Kwik Kar & Lube was set to close on Oct. 1. The location, two hours outside of the St. Louis area, is an 8-bay facility which currently does not perform any tire work. Telle Tire purchased over a $50,000 worth of equipment from Hunter Engineering and is creating a special training program for all associates to be prepared for the new service offerings. Telle said he expects the Jefferson City location 60 to be fully operational in about two months. With the three acquisitions this year, Telle Tire & Auto Centers now has nine locations and 75 associates. 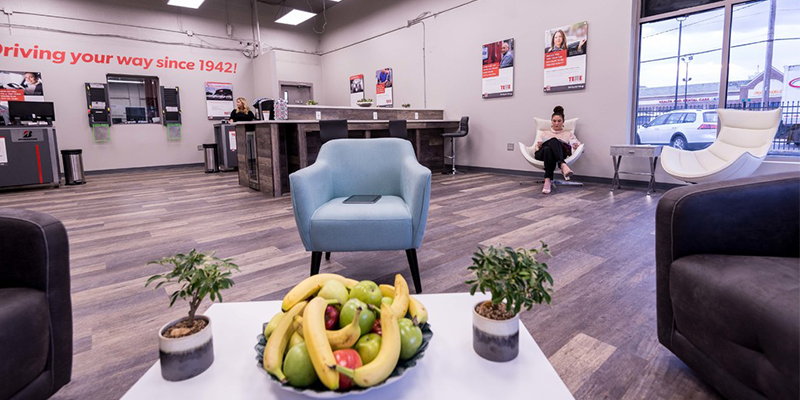 A look at Telle Tire’s renovated waiting area, tailored to its customers’ needs.